THINK SPRING! The lax season is set to start on Sunday March 31st. Team rosters, game & practice schedules are now available on site/app. Questions? Want to volunteer? Contact us shrewsburylax@gmail.com. THIS IS YOUR SEASON, JOIN US!! 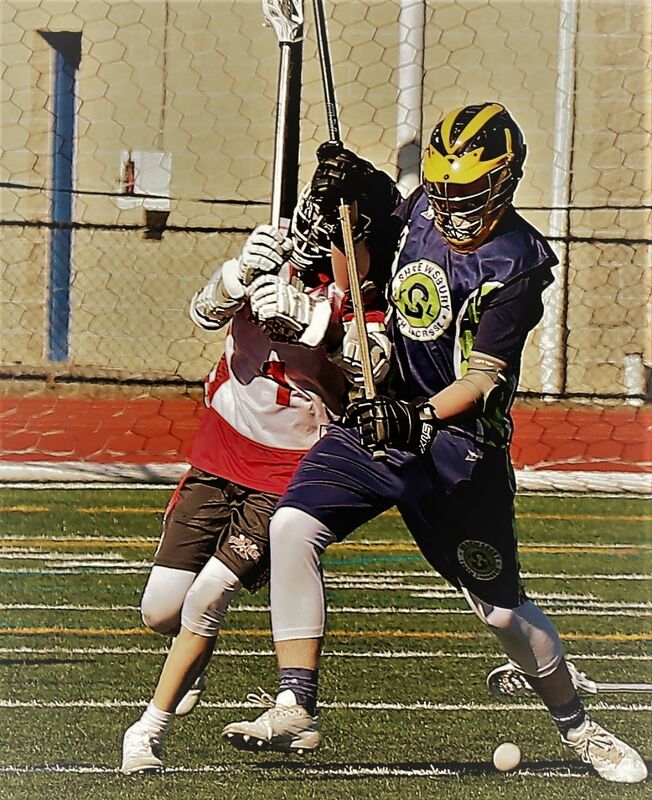 Shrewsbury Boys' Youth Lacrosse (SYL) promotes the game of lacrosse, sportsmanship, teamwork and athleticism. We welcome players of all skill levels. Our goal is to teach our kids the proper skills, along with training and conditioning, so they get a full understanding of the game, and they develop a life-long love for lacrosse! We play all of our kids equally in our Town/Classic program, regardless of skills and experience, in order to nurture their participation in this great game and to provide a positive experience for all involved. As part of the Mass Bay Youth Lacrosse League (MBYLL), there are no scores or standings kept and no championships awarded. We have found this creates a great environment to develop players of all abilities in a sport which is new to most. Boys in 1st-8th grade. For our older divisions (U13 and U15), we also have tryouts for our SELECT level play. This is a more competitive game, keeping score and the with season culminating with 2 playoff rounds and a championship. SYL believes everyday is a great day to be a lacrosse player! 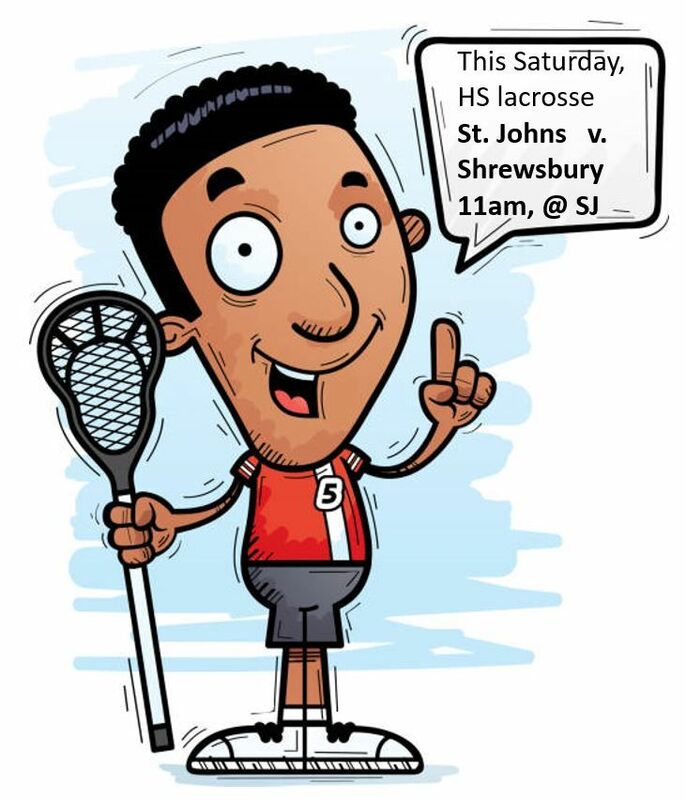 Live LAX on Saturday !! The Pioneers of St. John's host the Colonials of Shrewsbury High, in Varsity Lacrosse !! This Saturday, put on your SYL gear and come out to join the town lacrosse community and watch some really good HS lacrosse. Thers is bound to be 20+ SYL alumni playing on these teams. You can cheer for the Red and still wear your blue. Or cheers for SHS, our home colors. SYL has no games on Saturday, So if you are in town, I will hope to see you there. Remember, we know the game is only one hour long. Saturday will be a great day to be a lacrosse player! Jack Peters fights for and ultimately wins this GB, allowing him to kill the clock and preserve the victory for the u15 Select team. This is a great example of the importance of Ground Balls. GB's = posession. Posession = scoring opp and time kills. High school and college track GB's as a key stat during games (long poles LOVE this stat!) Shrewsbury Lax=GB's. Nice job, Jack and team. SYL 2019 season starts on Sunday February 24th with indoor practice. 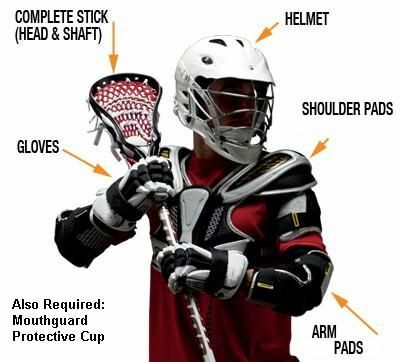 For those who need equipment, starter lacrosse packages are available from Kleen 'N Hard Sports, Dicks Sporting Goods and Lacrosse Monkey.